The J. I. Case Company Model SC tractor. The J. I. Case Company introduced their first tricycle-style tractor—the Model CC tractor in 1929. The CC weighed 4,240 lbs. (pounds) and produced 27.37 hp. (horsepower) to the belt pulley and 17.33 hp. to the drawbar. The CC was advertised as a tractor that could pull a two-bottom plow with 14 inch bottoms. So the Model CC could perform all the heavy tillage work in the fields of the average farm, just like the “four-wheel” or “standard” tractors that Case had offered the farming public before 1929. These four-wheel tractors could do all the field work on the farms of North America except one field task–the cultivation of row-crops. Thus, even with a standard type tractor, the North America farmer could get rid of a large number of horses on the farm that were required for heavy tillage and seed-bed preparation in the Spring of each year. However, until the introduction of the “row crop” or “tricycle-style” tractors, the North American farmer was required to retain sufficient horses on the farm to be able to cultivate his row crops. Only with the purchase one of these new row crop tractors, like the Case Model CC could the farmer be able to get rid of all the horses on his farm and farm in a fully mechanized way. Thus, the Model CC could be used to provide all the power on the farm to perform all the field work over the whole growing season. A view of the right side of the Case Model CC tractor. Early versions of the Model CC Case tractor weighed just 3, 640 pounds and had a maufacturer’s suggested price of just $1.025. The most unique feature about all the Case Model CC was the steering rod than located outside the hood of the tractor on the left side of the tractor. This rod extended along the left side of the tractor to the front wheels the tractor. Because this looked like a convenient place for the chickens, on the farm, to roost during the night, this rod became popularly known as “chicken’s roost.” Over the entire production from 1929 until 1939, 29,824 Model CC tractors were made. A left side view of the Case Model CC tractor, showing the unique “chickens roost” style steering rod which was a famous feature of Case tractors. In 1939, the CC was “styled,” modernized and the engine was upgraded in horsepower to a full 32.92 hp. at the belt pulley or the and 24.39 hp. at the drawbar. The tractor was re-designated as the new Case Model DC-3 tricycle style tractor. Like the old Model CC, the new Model DC-3 was a tricycle style tractor in order to allow the tractor to be fitted with a mounted cultivator for the easy offered to the farming public in a number of different front-end configurations. The DC was intended as a tractor which could perform all the field work on the average farm of the Midwestern part of North America, including the cultivation of row crops. Because of the wide variety of row crops grown in North America, a number of variants of the Model DC were offered to the farming public. The Case Model DC-3 was available as a narrow front tractor or as a tractor with an adjustable wide front end. There were also a single wheel front end and a dual wheel narrow front end available to the public. The J. I. Case Company planned to have the appropriate tractor configured for any farming operation in North America. The Case Model DC-3 with the adjustable wide front end allowed the front wheels to be positioned wide enough to accomodate a wide variety of row crops. Instead of being painted gray like the Model CC, the Model DC-3 was painted a reddish-orange color that the J. I. Case Company called “Flambeau Red.” The DC-3 had a new Case-built engine with a 3-7/8 inch bore and a 5 ½ inch stroke, was commonly fitted with 11.25 by 38 inch rubber tires and weighed 7,010 lbs. Case advertised the DC tractor as a “full three-plow tractor.” This meant that the DC-3 could pull a three–bottom plow even with 16 inch bottoms in most plowing conditions. By 1944, the suggested retail price of the DC was $1,270 as mounted on rubber tires. During the entire production run of the Model DC-3 from 1939 until 1955, 54,925 DC-3 tractors were manufactured by the J.I. Case Company, or about 3,433 Model DC-3’s for each year of the production rum of the Model DC. The Case Model DC-3 tractor replaced the Model CC in the Case line of row-crop tractors in 1939. With the introduction of the DC and the phasing out of the Model CC tractor there was a vacancy in the smaller “two-plow” class of tractors within the J. I. Case Company tractor line. Accordingly, in 1940, one year after the introduction of the DC-3, the J.I. Case Company introduced the Model SC tractor. The Model SC weighed 4,200 lbs., was fitted with a 2.7 liter four-cylinder engine with a 3 ½ inch bore and a 4 inch stroke which delivered 21.62. hp to the belt pulley and 16.18 hp. to the drawbar. The Model SC was painted Flambeau Red to match the Model DC-3 and retained the hand clutch. However, while the hand clutch lever control on the Model DC-3 was located on the left side of the operator’s platform, the new Model SC had the hand clutch moved to the right side of the operator’s platform. Case’s trademark, the “chicken’s roost” style steering rod of the Model CC and the Model DC-3 was also retained in the Model SC. The 11.25 by 38 inch rear rubber tires of the Model DC-3 were also made available for the Model SC. Like the Model However, the Model SC could be purchased for a much lower price than the DC-3. Many farmers took advantage of this price difference to purchase the Model SC tractor and the Model SC tractor became the best-selling tractor of the Case Flambeau Red line of tractors. Over its shorter production run (from 1940 until 1955), a total of 58,991 Model SC tractors (or about 3,933 Model SC’s per year) were produced and sold by the company—this represents a total of 4,066 more SC’s produced by the Case Company than the total number of DC-3 tractors produced by thebover the longer production run of the DC-3. In other words from 1940 until 1955. there were about 500 more SC tractors produced each year than there were Model DC-3 tractors produced each year during the same period of time. Among the tractors that flowed out of the J.I. Case Main Works in Racine, Wisconsin and arrived in local Case dealerships across the nation, was the two-plow Case Model SC tractor. In the years before the Second World War and in the immediate post-war years the Model SC actually outsold the larger DC-3 Case tractor. Of course not every year of the production run from 1940 until 1955 was like the next. History intervened, during this period of time, in the form of the Second World War, history from 1939 until 1955. Involvement of the United States in the Second World War dated from the surprise bombing of Pearl Harbor on December 7, 1941 by the Japanese Imperial forces. Following the Pearl Harbor attack, most heavy industrial companies, like the J. I. Case Company were required by the United States government to join the war effort, as the country fought a desperate war in two separate theaters of operations (Europe and the Pacific). Production of civilian goods gave way to production for the war effort. However, it took some time for the various companies to be assigned their government military contracts and to start producing wartime materials. For the Case Company production of farm tractors at their factory located in Racine, Wisconsin tapered off somewhat gradually in favor of war materials for the war effort. The factory at Racine, was called the “Main Works.” The Main Works in Racine, Wisconsin was where the new Model DC and the new Model SC were produced. However, in addition to introducing the two-plow Model SC, in 1940, the J.I. Case Company also introduced the the new one-plow tractor of the V-series. However, rather that manufacturing the V-series tractor at the Main Works, Case opened a new factory in Rock Island, Illinois. During the Second World War, the “Main Works” became involved in the production of bombs and artillery shells, doors for the Sherman tank and parts for the B-26 bomber. Sherman M-4 tanks in action in Normandy, France. Here almost every door of the tank is open. Many of these doors were made by the J.I. Case Company under a wartime contract. The limited amount of tractors that were produced during the war, rolled off the assembly line at the J. I. Case Company Main Works (and the new Rock Island Works), were assigned a serial numbers in sequence regardless of the model. There are no separate serial numbers for the S-series, the D-series or the V-series tractors. Until 1954, the first two numbers of any Case tractor serial number gave a clue as to the year in which the tractor was assembled at the Main Works. However, even this seemingly direct approach to the year in which the tractor was clouded by some obscurity. For example, if the first two numbers of a particular serial number were “44,” this did not mean the tractor was produced in 1944. Four years must be subtracted from the first two numbers of every serial number to arrive at the actual year that the tractor was built. Thus, if the the first digits of a given serial number are “44,” then the tractor was actually produced in 1940—not 1944. A picture showing the location of the Serial Number tag squarely on the “dash board” of the Case Model SC tractor. Accordingly, in the fifth year of the Model SC production run , a particular Model SC rolled aff the assembly line at the Main Works bearing the Serial Number 4911952. The first two digits of this particular serial number indicated that this tractor was manufactured at the Main Works in 1945. Since production in the year 1945 began with the serial number 4900001. Production of the Model SC with the Serial No. 4911952 must have been produced rather late in the year, 1945. Indeed, a good guess might be that the tractor was produced in December of 1945. The war years from 1941 until 1945 also brought many changes to Case dealerships around the nation. One such Case dealership was located at 202 North Front Street in Mankato, Minnesota. Since 1910, this dealership had been owned by the J.I. Case Company itself. In 1922, a young man by the name of Harry Julius William Cutkosky was working as a clerk at the John Peter Canellos billiards room at the Saulpaugh Hotel at the corner of Main and Front Streets in downtown Mankato. The classic Saulpaugh Hotel at the corner of Main and Front Streets in downtown Mankato, Minnesota . As such the Case Company dealership was only two blocks north of the Saulpaugh Hotel along Front Street. Hearing of an job offering and being an ambitious young man with a mechanical bent to his nature, Harry Cutkosky, walked the two blocks north on Front Street to seek better employment at the Case dealership. Harry did well at the dealership and by 1936 when the J.I. Case Company decided to franchise the dealership into private hands,it was Harry Cutosky that leaped at the chance to buy the franchise/dealership. Shortly after Harry Cutosky purchased the franchise/dealership in Mankato, ne made another decision that was to prove extremely advantageous for the dealership. He decided to hire a manager to help him run the dealership on a day by day basis. For the position of manager of the dealership he turned to Earnest Allen Jones. Since at least 1930, Earnest Jones had been employed as a shipping clerk at the J.I. Company Case Company Main Factory Works in Racine, Wisconsin. As the shipping clerk at the Racine factory, Earnest had become familiar with the J.I. Case Company network of dealerships and was perfectly aware of the pre-war sales success of the Cutkowsky dealership in Mankato, Minnesota. Thus, when Harry Cutkowsky offered to employ Earnest as the manager of his new proprietorship, Earnest anxiously grabbed the chance to manage the successful dealership. Earnest and and Vivian Maude (Baldwin) Jones and their family of an twelve year-old daughter, Elizabeth Ellyn;, a son, Allen, who was eleven and twin daughters Charlene and Charmaine who were both four years-old, moved to Mankato, Minnesota in 1936 shortly after Harry Cutkowsky had purchased the J.I. Case dealership in Mankato. In the years following 1936 until the entry of the United States into the Second World War, the Cutkosky dealership operated under the successful teamwork of Harry Cutosky and his manager Earnest Jones. Soon the dealership made a great reputation for itself all across southern Minnesota and northern Iowa selling Case tractors and farm equipment. The cast iron statue of a bald eagle perched on a globe of the world. This statue became the most famous trademark of the J.I. Case Company. This statue was nick-named “Old Abe.” One of the Old Abe cast iron statues was usually found outside each local Case dealership like the Cutkowsky and Jones dealership in Mankato, Minnesota. In 1941, the United States was suddenly thrust into involvement n the war, by the Japanese attack on Pearl Harbor. The war, however, imposed a whole new set of problems on the dealership. Harry Cutkosky and his manager Earnest Jones realized that this was a new world. To be sure there was a great demand among area farmers for new farm implements and tractors. However, this large demand could not be satisfied because the entire economy of the United States was being directed toward production for the war effort and there were precious little resources left over for the production of farm machinery and tractors for the civilian market. This meant that farm tractor dealerships around the nation all suffered from having access to far too little product to sell to the farming public. During the war, the dealership had to struggle just to obtain enough tractors and farm machinery from the Racine Main Works and/or the Rock Island factory Works just to stay in business. It can not be doubted that the presence of Earnest Jones, with the personal contacts he maintained from his former employment at the Main Works in Racine, Wisconsin aided the Cutosky dealership in obtaining enough tractors and farm machinery and parts to keep their core customers somewhat satified during the war. .
By 1944, the third year of the war, it was beginning to look as though the war might actually end some time in the near future. Harry Cutosky and Earnest Jones became encouraged that with the end of the war, peace-time productin would resume and they both felt that the dealership was well-positioned to finally meet their customers full demands for new farm machinery. To really work efficiently and meet the new economic situation that he expected with the end of the war, Harry Cutosky needed more capital in his dealership. Accordingly, he offered to sell part of the company to Earnest Jones and make him a full partner. Thus, in 1945, the dealership or the first time in the Mankato Directory as the “Cutosky and Jones” dealership. Although, by the end of the Second World War the Case dealership in Mankato was a privately owned partnership called “Cutkowsky and Jones,” the building, located at 202 North Front Street in Mankato, Minnesota, which now housed the “Cutkowsky and Jones” dealership, still bore the name “J. I. Case Threshing Machine Company” across the top of the building. This picture was actually taken of the building at 202 North Front Street in Mankato, Minnesota in 1910 and reflects fact that prior to becoming the “Cutkowsky and Jones dealership, the Case dealership in Mankato was owned by the a “J. I. Case Company itself. . The Second World War ended in the European theater on May 7, 1945, “Victory in Europe Day” or “V-E Day.” However the war continued in the Pacific theater until “Victory over Japan” or “V-J Day” September 2, 1945. No. 4911952 arrived at the J.I. Case dealership around New Years Day of 1946, Earnest had become a full partner and the dealership was known as the “Cutkowsky and Jones” dealership. As consistent readers of this blog will remember, in December of 1945, another partnership had been formed to start a J.I. Case dealership in another small Minnesota town. This was the parnership of Duane Wetter and Merle Krinke who were forming a dealership in LeRoy, Minnesota. During December of 1945, Merle Krinke and Duane Wetter were busy buying property in the small town of LeRoy, Minnesota to establish what would become the local Case dealership called the “LeRoy Equipment Company.” (See the two part series of articles called “The Rise and Decline of the LeRoy Equipment Dealership.” contained at this website.) The new dealership of LeRoy Equipment Company was due to open on Tuesday January 29, 1946 and was in drastic need of an inventory of new Case farm tractors and Case farm machinery. Accordingly, the Model SC tractor bearing the serial number 4911952 could have been sent to this new dealership in LeRoy, Minnesota, to help the new dealership get off the ground. If 4911852 had been sent to the LeRoy Equipment Company dealership, the tractor might have ended up on the Walter and Clarence Hanson farm three miles east of the village of LeRoy. As it was Walter and Clarence Hanson had to wait until sometime after March 10, 1947 for a subsequent Model SC to arrive at the LeRoy Equipment Company to purchase their Model SC tractor. The Case Main Tractor Works in Racine, Wisconsin was still trying to struggle with the retooling process to convert to production of civilian farm equipment products The Case Corporation was hardpressed for funds. Thus, the decision was made to sent No. 4911952 to the veteran dealership with a big reputation for sales (Cutkowski and Jones dealership in Mankato, Minnesota) rather than to a new startup dealership (the LeRoy Equipment Company in LeRoy, Minnesota) with no reputation at all–yet. Accordingly, No. 4911952 was sent to the Cutkowski and Jones partnership dealership” located at 202 No. Main Street in Mankato, Minnesota. Then the United States was attacked at Pearl Harbor in December of 1941. Like nearly all other manufacturing concerns the Case Company was greatly curtailed in its production of civilian materials including tractors and farm machinery by the government. For the duration of the war all manufacturing was to be directed toward the war effort in Europe and the Pacific. With the return of peace in September of 1945, production of the tractors had just begun again. J. I. Case Company was still struggling to retool for full time civilian production. On December 26, 1945, shortly after No. 4911952 rolled off the assembly line in Racine, Wisconsin, the Case Tractor Works at Racine, Wisconsin was hit by a labor strike by the United Auto Workers. This labor strike continued for fifteen more months until March 10, 1947. This 1936 photo shows the J. I. Case Tractor Plant which was located just south of Racine, near today’s intersection of Highways 11 and 32. From December 26, 1945 until March 10, 1947 the UAW (United Auto Workers) union conducted a labor strike against the Tractor Works which resoulted in a total halt of production of tractors for Case tractors until March 10, 1947. During the whole period of the strike, the Case Tractor Works was totally closed down and did not produce a single farm tractor. Finally on March 10, 1947 the United Auto Workers and the Case Company signed a new labor collective bargaining agreement and the labor strike ended. Finally, production of farm tractors was begun again at the Case Tractor Works in Racine Wisconsin. When No. 4911952 arrived at the Cutkowsky dealership just after New Years Days of 1946, the dealership had already been approached by a potential buyer for the little Model SC tractor. This potential buyer was a farmer of a 160-acre farm in Belgrade Township in Ncollet County, Minnesota. This was our Belgrade Township farmer. A township map of Nicollet County showing the location of Belgrade Township in the southern most or lowest most point on the map. Our Belgrade Township farmer’s mother had inherited the 160 acre farm upon the sudden death of her husband (our Belgrade Township farmer’s father) in 1939. Immediately, the total responsibility for the farm fell to our Belgrade Township farmer. Even before the death of his father, our Belgrade Township farmer had already been actively operating a great deal of the work on the farm: planting the crops, spending endless hours cultivating the corn crop and finally harvesting the corn and other crops on the farm, i.e. hay and oats. Although our Belgrade Township farmer had no soybeans on his own farm, he primarily used the A-6 to combine his oat crop every year. However, in the post-war era he also used the combine to do a little custom work in the neighborhood–sometimes combining the soybean crops of his neighbors. The farm was a diversified operation with a Holstein cow dairy operation requiring milking every morning and evening. They sold the whole milk obtained from their “twice-daily” milking of their Holstein dairy herd to the cooperative dairy located just across the Belgrade township boundary line to the north in Oshawa Township. A Holstein milking herd cows grazing in a pasture on a small diversified farm in the Midwest, much like the home farm of our Belgrade Township farmer. Our Belgrade Township farmer’s father also had raised pigs for market. The herd of pigs on the farm had consisted of a number of sows of different breeds and largely “cross breeds.” There was usually one boar on the farm at any one time which would be purchased for the job of siring the litters of little pigs that would be born each year. Over the years that our Belgrade Township farmer had grown up on the farm, prior to the recent war, he remembered a succession of different boars on the farm–one after another over the years. Big Bill, owned by Buford Butler, a farmer from Jackson, Tennessee, was renowned as the largest pig that ever lived. When this picture was taken in 1933 Big Bill had obtained the weight of 2,552lbs. This was an extreme, but this style of pig was favored by pork meat buyers as a lard pig in the 1930s and early 1940s. Big Bill came to the attention of the national public because of the “Largest Boar contests” that were popular in the Midwestern United States, especially in conjunction with the various state fairs held in Iowa, Minnesota and Illinois and other states in the 1930s. Most sows could be counted on to produce litters of baby pigs for only about three (3) or four (4) years out of their life. Older sows would begin having less pigs per litter until they began to fail getting pregnant at all. Accordingly, our Belgrade Township farmer’s father would have to plan ahead and save out some of the best looking gilts of the various litters over the years to replace some of sows that he was phasing out of the herd because of age. This meant that the young gilts that were to become the new sows on the farm would be the actual daughters of the present boar. Thus, the reason for changing boars every three years or so was to avoid any problems with reduced disease immune resistance and low growth rates that might result from this “in-breeding,” both our Belgrade Township farmer and his father would simply start searching for a new boar. Among the succession of boars on the farm one boar that stood out the most in the memory of our Belgrade Township farmer was a particular red -colored boar. This red boar struck him as a child and stuck in his memory merely because of his red color. This red color stood out in contrast to all the white, black and spotted “black and white” sows on the farm. The “red colored” Duroc breed stands out against all of the plethora of other white, black and spotted breeds. Although this is young boar, he bears all the characteristics of a proper thin style bacon pig that fits the model style desired by the post-war consuming public. During the years that the red boar was on the farm our Belgrade Township farmer use to love the way the boar left his finger prints on all the litters of baby pigs born during those years. All the litters of baby pigs born during those years, usually contained one or two little red pigs. This made the red pigs standout even more in the mind of our Belgrade Township farmer. The existence of a few red pigs in the litters born during our Belgrade Township farmers first year in the Belgrade Boosters 4-H Club made a noteworthy effect on our Belgrade Townxship farmer as a young teenager and he chose one of the red pigs as his 4-H project for that first year. This started a life-long fascination with Duroc pigs for our Belgrade Township farmer. As an early teenager, our Belgrade Township farmer had joined the local 4-H club–the “Belgrade Boosters”–and when he chose a 4-H project to show at the Nicollet County Fair–he chose one of the newborn gilts out of one of the litters born that particular year. that had been born that year. Needless to say, the gilt was one of the little red pigs that had captured his imagination at this early date. He also learned about the characteristics of the Duroc breed. He learned that the Duroc pork meat tended to be “redder” in color that the pork meat of other breeds of pig. Additionally, the Duroc meat was regarded as having ” well marbled” fat. The importance of this feature of well marbled fat in Duroc meat will be explained below. Marbling of fat in beef is something that is to be avoided in beef because it defeats the idea of “trimming the fat” to avoid consumption unsaturated fats. In the years to come during the post-war era the breeder of pigs tended look for pigs that would be thinner in structure than the hugely fat pigs which were commonly produced during the war. These huge pigs were intentionally grown for their fat which could be rendered into lard for baking during the pre-war era. During the Second World War the lard from pork was used for making munitions for the war effort, Thus, fat pigs were desired by the pork buyers in the market. Breeders of pigs responded to this desired feature and raised overly fat hogs for the market. Prize market hogs being shown off for pictures in the 1930s. These market pigs were considered “just right” for the market in the 1930s. Now they are considered very much over weight. Today the pigs would be docked for being too fat and over weight. However, in the post-war market the buyers began to respond to the consumers who now wanted less cholesterol, grease and fat in their food. Now the pork buyers began to look for thinner market hogs that would have less fat. Thus, in the post-war years the breeders of pigs had to make a 180 degree turn in their thinking. Now they tended look for pigs that would be thinner in structure than the hugely fat pigs which were commonly produced during the war. The 2011 Weight Division Champion in Monterey County, California, This champion pig shows all the desirable features in a thin and long bodied modern market hog. Not take long after he joined the Belgrade Boosters 4-H club, for our Belgrade Township farmer to learn that the most popular of all the red-colored pig breeds in the United States was the Duroc breed. This was the correct name for the breed of pigs that, until now, he had merely been calling “red pigs.” He learned that these pigs had simply been called “Red Hogs” when the breed was developed and introduced into New Jersey in 1812. Breeding and development of the pigs in New Jersey led to a breed that was called “Jersey Reds,” These Jersey Reds pigs were noted for “farrowing” (giving birth to) large litters of baby pigs. Additionally, the Jersey Reds were known for their rapid ability to gain weight. In 1823, Isaac Frink bought one red boar out of a litter of 10 pigs owned by Frank Kelsey. The parents of the litter of 10 pigs probably came from England. Frink brought the boar back to his home in Milton in Saratoga County, New York and began a breeding program on his farm. Frank Kelsey had been known locally as the owner of a champion race named “Duroc.” Accordingly, Isaac Frink named the red boar that he had purchased from Frank Kelsey after this horse–Duroc . This is how the whole breed that descended from the combination of Jersey Reds and the descendants of Isaac Frink’s New York herd came to be the breed of pigs called the Duroc breed. Prior to his father’s sudden death, our Belgrade Township farmer had been anticipating obtaining a farm of his own and starting farming on his own. Indeed, he had been dating a young girl. Together they had talked of getting married and getting a house of their own . However, at the time of the death of his father, our Belgrade Township farmer and this girl friend had drifted apart. At the time, he suspected that this distance that grew up between he and this girl was brought about by her recognition that our Belgrade Township farmer would be forced into handling the farm of his father and moving into his mother’s house. He did not feel that he could do anything else. So the relationship sort of faded and eventually they each went their own way. Production of the Model SC Case continued until 1954. Over the full production run of the Model SC tractor, from 1940 until 1954, a total of 58991 individual SC tractors were made. This made the Case Model SC, the most popular of all Case tractors. More intermediate two-plow Model S-series tractors were manufactured and sold by the J. I. Case Company than either the larger Model D-series three -plow tractor or the smaller one-plow Model V-series tractors. The particular Model SC tractor bearing the Serial Number 4911952 was shipped to the Cutkowski and Jones Case equipment dealership in Mankato, Minnesota. Eventually, No. 4911952 was sold by Cutkowshi and Jones to a particular farmer operating a farm in western Belgrade Township about 3 or 4 miles to the north of North Mankato on County Road #8 in Nicollet County Minneota. This was the farm of our Belgrade Township farmer. Sold into bankruptcy and No. 4911952 was sold to an auction house in Mankato kept No. 4911952 inside a storage shed or garage until an auction was held a couple months later. At the auction, Ken Weilage purchased No. 4911925 and a couple of other tractors and took the tractors to his 5-acre hobby farm located on the east side of the Hwy. #169 between Mankato and St. Peter, Minnesota. This hobby farm had originally been a working farm but in the 1960s the arable land of the farm was surveyed and separated from the building site of the farm. The arable land was then sold to a neighboring farmer and the building site was sold to man who worked as a financial services manager named Ken Wielage (Tel:  625-4810), who also had a hobby of collecting and restoring old farm tractors. At this stage, No. 4911952 went through its first repainting and restoration. Once the restoration was complete, the tractor was driven by Ken Weilage in a number of parades. In about 1990 the tractor was sold to group of about ten (10) neighbors, who all lived along Washington Boulevard on the shore of Lake Washington, near the village of Madison Lake, Minnesota. This group of neighbors was led by John Pfau, the owner of a number of Taco John restaurant franchised in Mankato, St. Peter and New Ulm. John Pfau was the person who actually found the tractor was for sale by Ken Wielage, the late Ernie Weber, Gordon Strusz (at 4524 Washington Blvd. Madison Lake, Minnesota and Tel. 243-3380); Ray Dumbrowski; and John D. Jacoby who became the person who was most involved with the operation storage and repair of the tractor for the last 20 years. At first, Washington Boulevard was a gravel rode. The neighbors used No. 4911952 to pull an old steel-wheeled grader up and down Washington Boulevard to grade and maintain the road and the tractor was used twice a year to put the neighbors docks in Lake Washington in the spring and pulling the docks out of the waster in the autumn. In 2013 through 2015 No. 4911952 was displayed on the Mike McCabe farm as a tractor for sale and there was seen by the current author in April of 2015 was and purchased for the Wells Family Farms collection of restored tractors. No. 4911952 is currently undergoing its second restoration. All farm machinery manufacturing companies depend heavily on their various franchisees and sales staff for the success of the company. The story of the sales component of any company consists of hundreds of small individual stories. The J.I. Case Threshing Machine Company is no exception to this rule. One thread in the continuing story of the sales component of the J.I. Case Company began on a farm in Carroll County, Iowa near the small town of Lanesboro on January 1, 1914. On that day, a second child, another son was born to Otto and Hazel (Coomes) Wetter. This son was named Duane E. Wetter. Duane joined the first born, Maurice, who had been born to the family in 1913. Later in 1916, a daughter, Winifred E., born to the family. The Wetter family operated the farm in Carroll County until 1917 when they purchased another farm in Redwood County, Minnesota. This farm was located in Woodbury, Township within Redwood County. Just to the south of Woodbury Township lay Lamberton Township. Here on December 13, 1918, another thread in this same story, began with the birth of a fourth son, Merle to the family of John and Ella (Werner) Krinke. Both of Ella Krinke’s parents had immigrated to the United States from Prussia in Germany. While John’s father, Christian William Krinke, had also immigrated from Germany, his mother, Mary, had been born in Wisconsin. After living in Wisconsin, and near Rochester, Minnesota and near Blue Earth Minnesota, Christian and Mary (Adler) Krinke purchased a 320-acre farm three (3) miles northwest of the town of Lamberton, Minnesota in 1905. This was the farm where John Krinke grew up. In 1910, John and Ella had married. In 1912, a son, Darold was born to the couple. Then another son, Kenneth, was born in 1913. In 1914, upon the retirement of his parents, John and Ella took over total control of the farming operations. Meanwhile the family kept expanding. A third son, Donald was born in 1915. Following the birth of Merle in 1918, two daughters were born, Mildred in 1921 and Ruth in 1922. Finally, two more children, Robert born in 1925 and Betty born in 1929 rounded out the family of two parents and eight children. On the 320-acre farm, John and Ella raised about 20 acres of rye, and 20 acres of wheat for cash crops. However, the family’s largest crop was about 100 acres of corn. Some of the corn was used as feed for the pigs and the beef cattle they also raised on the farm. However, 40-50 acres of the arable land on the farm had to be designated each year for the raising of oats to feed the many horses they used for power on the farm. As the older sons came of age, they helped their father with the field work. To effectively and efficiently operate this 320 acre farm took a lot of manpower and horsepower. As John’s sons grew up they helped their father with the work on the farm. The family had a five (5) horse hitch and a six (6) horse hitch which they employed when plowing in the fall and the spring. Including riding horses, the Krinke family at one point, owned and operated 22 horses on their farm. Additionally, the family milked 10 to 12 Milking Shorthorn cows twice a day as a part of their farming operations. Kenneth, who is currently living in Lamberton at the age of 93 years, remembers that he and his brothers each had to milk three (3) cows every morning before they headed off to school. The family also raised a substantial herd of Hereford beef cattle. Thus, another large portion of the arable land on the farm had to be set aside just for raising hay for pastures for the dairy cows, the beef herd and the horses. Besides the substantial help provided by their boys, John and Ella still needed to hire on additional help during the busy threshing season. Sam Marburger, a bachelor farmer also living in Lamberton township had a 28” Altman-Taylor threshing machine and a steam engine that he used in the summer to perform custom threshing for other farmers in the neighborhood. By the time of the mid 1920s, farming had recovered to some degree from the post-World War I recession that had settled over the farming economy in 1921. At this time, John Krinke perceived that the work would progress much smoother during threshing season if the family had their own thresher. Accordingly, he paid a visit to Oscar Wiebold, the local J.I.Case Company dealer in Lamberton. Eventually he signed a purchase agreement for a 22” Case thresher and a crossmotor Case tractor to power the thresher. After a while they also purchased a tractor plow to be able to use the tractor in the fields as well as on the belt. Soon other neighbors were soliciting John and his sons to do the threshing on their farms also. So the family found that they could supplement their farm income with some income from custom threshing in the neighborhood. Later in the 1920s, the Krinke family obtained a Waterloo Boy tractor which was also used to power the thresher. John continued to plant his corn with the horses and the wire check two-row corn planter. Wire checking meant that a wire with curls or “buttons” placed every 40 inches along the wire was stretched across the entire length of the field. The wire was then attached to a mechanism on the side of the planter. As the horses pulled the planter across the field, the buttons on the wire would cause the mechanism to trip both rows of the planter at the same time. Thus, not only were the rows planted 40 inches apart, but the “hills” of corn were planted 40 inches apart within the rows. This formed a perfect grid of hills in the corn field which allowed the corn to be cultivated “cross-wise” as well as length-wise. Accordingly, not only were all the weeds between the rows dug up and eliminated by the cultivator, but even the weeds between the hills within the rows were removed by “cross cultivating” the corn. Every year, corn farmers tried to cultivate every corn field on their farm three times—the first cultivation was conducted lengthwise, then the corn was cross-cultivated and finally the corn was cultivated once again in a lengthwise fashion. Cultivation of the corn, thus, required a great number of hours (or days) of work during the summer. No wonder then when a mechanical way of speeding up this summertime task was developed, farmers jumped at the chance to employ this newer method of getting the task done. Exactly for this reason, John Krinke obtained another tractor. This tractor was a tricycle-style Farmall Model F-12 tractor. Besides moving faster in the field and having more endurance than horses, the F-12 was designed to be fitted with a two row cultivator. Thus, tractor cultivation of the corn could proceed at a rate of two rows at a time or twenty (20) acres in a single day as opposed to a mere six (6) or eight (8) acres a day when cultivating with the horses one row at a time. John Krinke was made aware of his need to save all the time in the fields as he could. In 1934, his oldest son, Darold got married and moved onto a farm of his own. In 1936, his second son, Kenneth did the same. In 1934, Donald had graduated from high school in Lamberton and had entered Minneapolis Business School. Meanwhile, his fourth son, Merle, was also growing up. After obtaining an eighth grade education in a country school, Merle had enrolled in Lamberton High School for the “short course.” The short course was only three (3) months long and took place in the middle of the winter. The short course was designed for farm students who needed to help their parents on the farm during the spring and the fall of the year. Also attending these short courses at Lamberton High School was Duane Wetter. Although living in separate townships, the Wetter family and the Krinke family had become acquainted with each other at the Methodist Church in Lamberton. Originally, the Wetter’s had been attending another church in the community, but when that church suddenly burned down, they began attending the Methodist Church. In their first year on their new farm in Woodbury Township Otto and Hazel Wetter had added to their family with the birth of another son, Milo in 1918. Later, two more daughters, Zona in 1920 and Donna in 1923, were added to the family. Now during the short courses at Lamberton High School, the children of both families became more closely acquainted. Furthermore, in the fall of 1932 a new teacher moved to Lamberton from Amboy, Minnesota. This new teacher was Robert W. (Bob) Olson. Bob Olson had a fairly active life. Born in 1893 in Sterling Township in Blue Earth County near the small town of Amboy, Minnesota (1900 pop. 432), Bob had served as a United States Army pilot during World War I. Coming home from the war in late 1918, he enrolled in school at the University of Minnesota and became a teacher. While at the University he met Mabeth Starrett. They fell in love and were married in 1920. Unable to find a teaching job, Bob and Mabeth moved back to the home farm of Bob’s parents in Amboy. Rural living was a new experience for Mabeth, but she soon adapted to life on the farm where she and Bob lived for a number of years. Two children were born to the young couple—a son, Bob S. Olson in 1924 and a daughter, Helen in 1926. Bob helped his father on the large family farm. However, in 1932, Bob was hired to teach an industrial arts class at the High School in Lamberton. Accordingly, Bob and Mabeth and their children moved to Lamberton. Among the students in Bob Olson’s industrial arts class during the winter months of the 1932-1933 school year was Merle Krinke. Although Duane Wetter had graduated from Lamberton High School on the previous June 2, 1932, he may well have met Bob Olson, anyway and Bob Olson might well have had an impact on the life of Duane Wetter. At any rate the lives of Bob Olson and Duane Wetter have some surprising parallels. Like Bob Olson, upon graduating from high school, Duane went to Twin Cities of Minneapolis and St. Paul to further his education. He attended Dunwoody Institute in Minneapolis and studied the new and growing technology of refrigeration. After finishing his studies at Dunwoody, Duane obtained employment at the Minnesota Department of Highways in 1939. That fall, war broke out in Europe. As the war stretched into its second year, United States’ involvement in the war seemed more likely all the time. Even before the United States became involved in the growing world war, Duane joined the war effort by journeying to Winnipeg, Canada, to join the Royal Canadian Air Force (R.A.F.) and became a pilot. He met and married Esther Else. Together they moved off to Sherbrook, Quebec, where Duane became a flight instructor of other prospective fighter pilots. While the couple was living in Sherbook, Esther became pregnant and gave birth to a son, Berwyn. In May of 1944, after the United States had become involved in the world war, Duane and many other American citizens serving as pilots in the Canadian R.A.F. took advantage of the agreement between Canada and the United States to transfer from the R.A.F. to the United States Army Air Corp. (Following the Second World War, the Army Air Corp would become an independent branch of the armed forces—the United States Air Force.) Thus, Duane was shipped out to Europe as a replacement pilot attached to the 316th U.S. Fighter Squadron of the 324th Fighter Group, stationed in Luneville, France. Thus just like Bob Olson a generation earlier, here was Duane Wetter serving as a pilot for the United States Army Air Corp in a war against the Germans and stationed in France. Duane was assigned to a Republic Company-made P-47 (Thunderbolt) fighter and began flying combat missions on February 14, 1945. He would end the war as a survivor of seventy five (75) combat flight missions and also would win a number of decorations for valour during his service in Europe. Following the war, Duane stayed on in Europe to become part of the occupation forces stationed at Stuttgart, Germany. Duane was discharged from the military and was finally able to make his way back to Minnesota only in November of 1945. In the meantime, Bob Olson had also impacted two other students in his short time at Lamberton High School. In the industrial arts class during that school year of 1932-1933 were Donald and Merle Krinke. During the fall and spring months, the Krinke boys were needed by their parents for help on the farm. However, during the “short course” held in during the winter months both Donald and Merle sought to further their education. During the short time that the boys knew Bob Olson in the winter of 1932-1933, Bob Olson made an impression on these boys that lasted far beyond their school days. At the end of the school year, Bob Olson made a decision to leave teaching and take advantage of a business opportunity in Lamberton. He purchased a franchise from the J.I. Case Company to sell farm machinery in the rural area around Lamberton. This was 1933, starting a business at this time appeared to be a foolish decision. Business activity all across the nation was at a standstill because of the worst economic depression in the history of the United States. Bob’s outgoing personality and business sense were assets for his new business, but the biggest asset to his new business was the improvement in the economy. As 1933 gave way to 1934, the economy started to improve ever so slightly. Everybody breathed a sigh of relief and everybody began spending money again with more confidence in the future. Farmers, began once again to feel that there was a future in their occupation and began to purchase new farm equipment. The Case Model CC tractor was first introduced to the public in 1929. This left-side view of the tractor shows the famous “chicken’s roost” steering bar that was characteristic of many early Case tricycle style tractors. The dealership was housed together with a hardware store and a plumbing and heating business. However on the farm equipment side of his new business, Bob found that, more and more, that the row crop tractor was the single item of farm machinery that farmers wanted most. This made sense given the fact that corn was the primary crop grown in Redwood County. On average, 37.5% of all farm acreage in the county was growing corn. The second most produced crop in the county was oats—with 26.3% of all farm land in the county growing oats. However, oats and hay were grown on all farms largely as feed for the animals, in particular the horses that were used for power on the farms. If both hay (10.4% of all farm land) and oats were removed from consideration, corn then made up of 59.3% of all “cash crops” grown on the farms of Redwood County. Early versions of the Model CC Case tractor weighed just 3, 640 pounds and had a maufacturer’s suggested price of just $1.025. Bob Olson sold a great number of Model CC tractors in the first years of his dealership. In 1936, he sold a Model CC to John Krinke. This particular Model CC was fitted with rubber tires front and rear on the tractor. Donald Krinke had graduated from Lamberton High School in 1933. In 1936, Merle Krinke also graduated from Lamberton High School. Like Duane Wetter, both of the Krinke boys also headed off to college in Minneapolis. Merle entered Augsburg College and later attended the University of Minnesota just as Bob Olson had done a generation earlier. Following his higher education in Minneapolis and no doubt under the influence, to some degree, of Bob Olson, Donald Krinke sought and obtained a job as the district manager for the J.I. Case Company in the area including Redwood and neighboring counties. 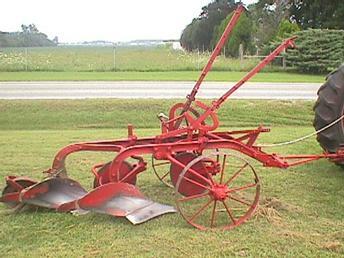 In 1939, Case introduced their “flambeau red” series of farm tractors. This Case Model DC was the top of the line row crop tractor of the flambeau red series. However, in 1940, with war clouds looming, and with the United States involvement in the Second World War looking increasingly likely, the U.S. Congress re-instated the Selective Service draft. Merle Krinke’s number was drawn in the draft lottery and it was a very low number, suggesting that he was soon to be drafted into the military. Not waiting for the draft, Merle quit school and enlisted. Perhaps, the influence of Bob Olson caused him to enlist in the Army Air Corps. The Army Air Corps unit to which Merle was attached was guarding the Panama Canal. Thus, in 1940, well before the Japanese attack on Pearl Harbor, Both Duane Wetter and Merle Krinke were involved in the spreading world war. On December 7, 1941, the United States suddenly became involved in the world war. Merle re-enlisted and continued his service until 1945. In April of 1944, Merle was, however, permitted a 30 day leave from his military service. During this leave he returned to Lamberton, Minnesota. He had a good reason for wanting to return home at this time. He wished to get married. In the years, that he had known the Wetter family, he was attracted by Duane’s sister, Zona. They had begun seeing each other and writing each other while Merle was away in the service. Now, in 1944, while on his 30 day leave from the Air Corp, Merle and Zona had decided to marry. Thus, on April 8, 1944, they were married. All too soon, however, Merle had to return to Panama. Only at the end of the war in September of 1945 was he allowed to come home for good and resume married life. Upon his return from the military, Merle obtained a job at the the Myhere and Nelson Implement dealership in Montevideo, Minnesota. The Myhere and Nelson dealership owned the J.I. Case Company franchise for the area around Montevideo and surrounding Chippewa County. Montevideo was located on the Minnesota River about 60 miles to the northwest of Lamberton. Merle commuted to his new job while continuing to live in Lamberton. After only a very short time at his new job, in Montevideo, Merle became aware of an opportunity to open a new Case dealership in another town. In the second article on David Bradley farm machinery, two of the most popular and recognizable products were discussed–the farm wagon and the garden tractor. However, the David Bradley line, as advertised in the Spring and Fall issues of the Sears and Roebuck catalogue every year, included tractor loaders, field tillage equipment, and even harvesting equipment such as its one-row, semi-mounted corn picker. This installment will feature two lesser known, but still popular, items–the tractor plow and the manure spreader. As pointed out in the first article, the David Bradley Company began its plow production with the famous horse-drawn Clipper plow. With the dawn of the tractor era, however, David Bradley introduced tractor-drawn plows. In the Spring 1936 Sears catalogue, a 2-bottom plow with 12″ bottoms was advertised for $69.95, another 2-bottom plow with 14″ bottoms for $71.85, and a 3-bottom plow with 14″ bottoms for $105.00. These steel-wheeled plows were painted David Bradley red with lime-green wheels to match the rest of the David Bradley line of farm machinery. During the 1930s, Ned Healy placed an order for a particular David Bradley 2-bottom plow; consequently, a steel-wheeled David Bradley 2-bottom plow with 14-inch bottoms was delivered to the Sears store in Mankato, Minnesota, the county seat of Blue Earth County. Ned Healy, who operated a farm south of Mapleton, Minnesota, farmed with a Graham-Bradley 32-hp tractor and, later, a Massey-Harris 101. Both of these tractors had very fast road speeds for their time (19.8 mph. and 17.85 mph., respectively). (C.H. Wendel, Nebraska Tractor Tests [Crestline Publishing Company: Sarasota, FL 1985] pp. 110 and 137.) Ned not only farmed his own farm, he also helped his brother, Horace Healy, on another farm just down the road. Both the Graham and the Massey Harris tractors, with their rubber tires and very fast road speeds, were well-suited for the Healy farming operation which involved frequent transfers of machinery from farm to farm. Consequently, when the new David-Bradley plow arrived on the Ned Healy farm, its distinctive green colored steel wheels were soon cut down to be fitted with rims for rubber tires. In the same Mapleton, Minnesota, neighborhood lived the Howard Hanks family. As noted in a previous article, the Hanks family once rented the John T. Goff farm also just south of Mapleton, Minnesota. (“The Family’s First Tractor,” Antique Power, May/June 1994, Vol. 6, No. 4, pp. 22-24.) Now, in early 1944, the Hanks family began negotiations to purchase a farm of their own in Beaver township, Fillmore County, near LeRoy, Minnesota. This 400-acre farm was owned by Albert E. Rehwaldt of Good Thunder, Minnesota, but had always been known as the Bagan farm. Included in the terms of the purchase was a 1942 Farmall H accompanied by a 2-row cultivator. This would be the Hanks family’s first row crop tractor. (See “The Wartime Farmall H,” Belt Pulley, July/August 1994, Vol. 7, No. 4, pp. 13-17.) The family was finally to be settling on their own land! Thus, in order to get an early start on the 1945 growing season, they drove the 100 miles to the Bagan farm in the late summer of 1944 to do some fall plowing, bringing with them their 1931 John Deere D and their 3-bottom John Deere No. 82 plow to do this. They also borrowed Ned Healy’s David Bradley plow to pull behind the Farmall H which was already at the Bagan farm. Because the renter of the Bagan farm, Roy Green and his family, was still in the house, the Hanks family camped out in a small chicken brooder house. Nevertheless, during the ten days they were there, the family completed the fall plowing and did some work on the house before they had to return to the Goff farm for the soybean harvest. They left all of the machinery they had brought with them on the Bagan farm until the following spring, when they would return to plant the crop, and went back to the Goff farm with only Ned Healy’s plow aboard the truck. The little David Bradley had performed well during the short time on the Bagan farm and had helped the Hanks family get a jump on the 1945 crop season. LeRoy was originally settled at the site of a sawmill located next to a dam on the Upper Iowa River. The dam and sawmill were built in 1853. By 1855, a settlement had grown up around the sawmill, and by 1858, the town of LeRoy was platted there. However, as white pine from northern Minnesota became more readily available for building material, the sawing of local hardwoods became unprofitable and the sawmill was converted to a grist mill in 1858. In 1867, when the Chicago, Milwaukee and St. Paul Railroad (later the Milwaukee Road) came through the area, it by-passed the settlement of LeRoy, and the railroad station built by the railroad to serve the town was actually located about a mile southeast of LeRoy. Consequently, over the next several years, the people of whole town of LeRoy resettled to the area around the railroad station, and in 1874, LeRoy was incorporated at the new location. Gradually, the settlement around the grist mill declined and the area became known as “Old Town.” The grist mill itself also closed up, as better methods of flour milling were developed.